Romania’s population is one of the most religious ones in Europe. The greatest part of the Transylvanian Hungarian society believes in God, and its level of piety is close to that of the Romanians – stated sociologist Dénes Kiss at the opening of the Religius Research Institute of Kolozsvár (Cluj-Napoca). He presented several interesting characteristics regarding the religiousness of the Romanian society, the explanations to people’s religiosity and the possible evolution of the levels of piety. 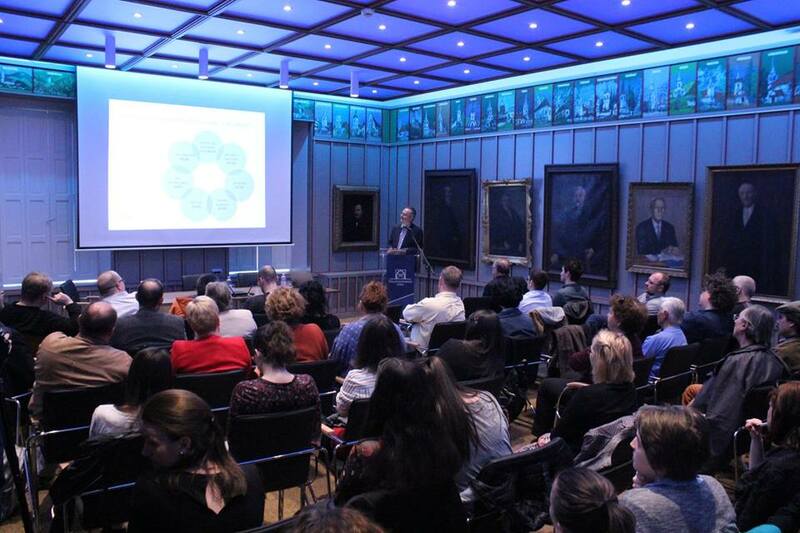 The Religious Research Institute of Kolozsvár opened its gates on the 8th of April. The new institution will function in the former Unitarian Episcopal residence called nowadays the House of Religious Freedom. The medieval building was restored and reopened last summer, and the owner, the Hungarian Unitarian Church had firmly stated that the house’s functions will serve the larger Transylvanian community. The main purpose of this institute is to give meaning to the historical ideology of religious freedom in the realities of Transylvanian society, and to promote ecumenical research activities – stated at the opening ceremony the manager, Szabolcs Czire. A declared mission is to contribute to the better understanding of the ongoing social and cultural processes, so religiosity would remain part of the Transylvanian Hungarian identity in the coming era as well. “We are Christians and we would like to remain so. If we can add only a little bit to achieving this purpose, the creation of this institute was not in vain” – emphasized the manager. Sociological research proves that just like Romanians, Transylvanian Hungarians are quite religious people, and regarding their level of religiosity they stand closer to Romanians than to Hungarians living in Hungary. In the relevant polls 14,8% of Hungary’s population stated that they pray daily and 8,4% of them go to church weekly. On the other hand, more than half of Romanian people pray daily and more than one third of them go to church at least once a week. Last but not least, more than 60% of Transylvanian Hungarians are praying on a daily bases, and more than 32% of them go to church weekly. According to another data set, there is almost a full societal consensus among Transylvanian Hungarians that the greatest life events should be celebrated in an ecclesiastic ceremony as well – stated in his lecture Dénes Kiss, the research manager of the newly opened institute. How did Romania become one of the most religious countries in Europe? The sociologist synthesized in his lecture several authors’ explanations, and presented them in a very intelligible model. As he said, one of the most important factors related to the religiousness of Middle-Eastern European societies is the level of oppression the state had exercised on churches during the Socialist era. The more drastic this oppression was, the less capable the church was to come back to the former level of religious practice. On the other hand, the process of modernization, the urbanization of the population and the level of education are as well elements to consider. The religiosity of today’s adult generation is influenced by the religious socialization they experienced in their childhood. Those people prove to be definitely more religious, who have had grandparents at hand to participate in their religious education at home. Furthermore, a country’s population is more religious, if the formation of the nation and the national identity pre-date the existence of a state structure: if a nation formed based on cultural pillars, the level of its religiousness is higher as well. In Romania, the political oppression – at least in the case of the orthodox church – was not so harsh as in neighboring countries, besides the leaders of the church came quite early to an agreement with the worldly powers. On the other hand, the country is one of the less modernized states of Europe, and the Romanian national identity is closely related to ecclesiastic institutions. So the model explains Romanian religiousness; in the case Transylvanian Hungarians piety is accentuated as well by the fact that they live as a minority in the country and their religion differs from the larger populations’. Besides, the relationship of the Hungarian community to their churches in somewhat different, as ecclesiastic institutions assume several communitary roles in various walks of life. A very large part, 95% of the Transylvanian Hungarian population believes in God – among them 80% in a personal God, the others in a more abstract image of God. A bit more than half of the community believes in resurrection and in the existence of angels, and less than half considers that hell exists as well. Almost 15 % of the people believe in reincarnation and 30% in telepathy as well. Religious convictions nowadays are not exactly based on the church’s teachings, people may have begun to create a personal belief system, from elements gathered from several sources – said the sociologist. According to a large research conducted in 2010, in the Transylvanian Hungarian society the level of piety is quite high among those who have the highest level of education, a master’s or a PhD. On the other hand, among young people who had finished only the 8 grades of general school, religiosity dropped immensely compared to the older age group with the same education level. But, religiousness increased among the young generation with university studies, compared to the senior age group. In short, the hypothesis that religiousness will be higher among elite groups of society might be valid, and one could also state that the character of piety is changing as as people somehow begin to create their own world of beliefs – concluded the sociologist.